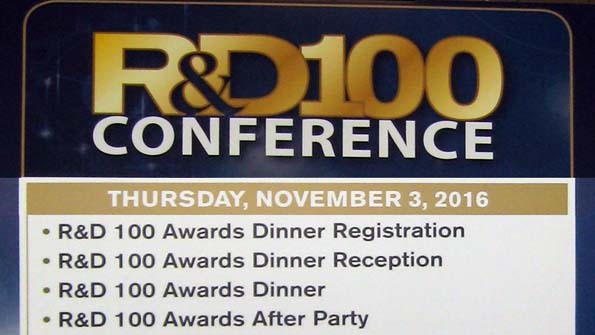 The R&D 100 Awards are considered the most globally prestigious awards for invention and innovation. Each year, for the past 54 years, people arrive to the awards ceremony from all over the world in hopes of winning an "Oscar of Invention." 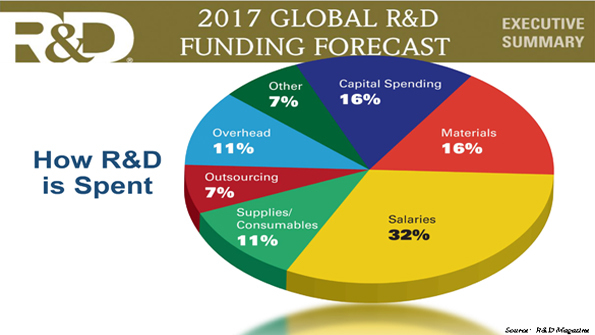 The leaders of R&D Magazine, the flagship publication of Advantage Business Media's 10-magazine Science Group, coordinate the Awards contest and dinner each year. This year, 52 judges from industry, academia, and government reviewed a gazillion submissions and determined there were 275 Finalists. Then, they culled-out the 100 Winners. Plus, 15 Special Recognition Awards are part of the ceremony each year. In all, some one-hundred fifteen winners are presented awards at an engaging black tie dinner event. Every innovation professional should witness this at least once in their career. 1) Several organizations won four or more awards. 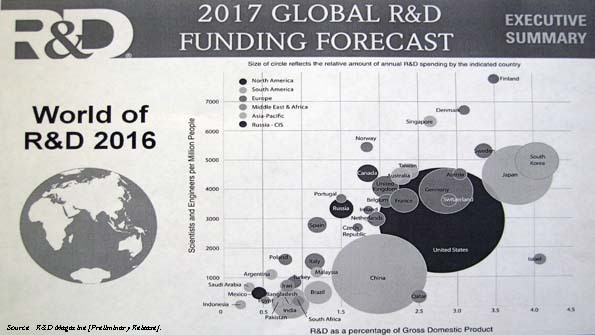 The following entities may be strong sources of global innovation: Taiwan's ITRI, MIT Lincoln Labs, Oak Ridge National Laboratory, Sandia National Laboratories, and "the Dow companies." 3) USA's National Laboratories also deserve comment. Approximately 30 of the awards went to one of the National Labs or to a dedicated USA government lab. 4) Not enough industry and high-tech companies are competing. I've recommended to our clients over the years that it is really inexpensive to compete in this contest and one can't beat the visibility, free marketing, and brand value. If you are a big company, there is real bang for the buck to be a Finalist - never mind winning. If you are a start-up, the visibility could accelerate the company by 3-5 years. The more vessels and "piping" that is in an organ, the harder it is to grow. But, some major organs (such as the liver) have large areas of very similar cells that perform the function of the organ. Dr. Atala is now within sight of being able to consistently grow the "mass areas" of several organs, possibly within this decade. 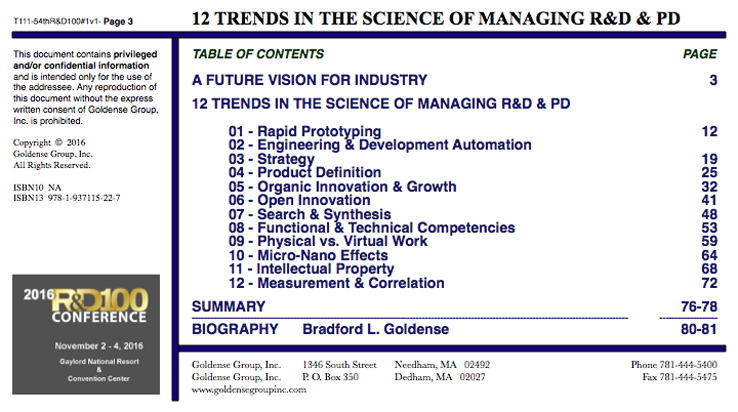 Last year R&D Magazine brainstormed what else they might do, given all the accomplished people that come to the Awards each year, and they decided to wrap a "technology and technology management conference" around the Awards dinner. 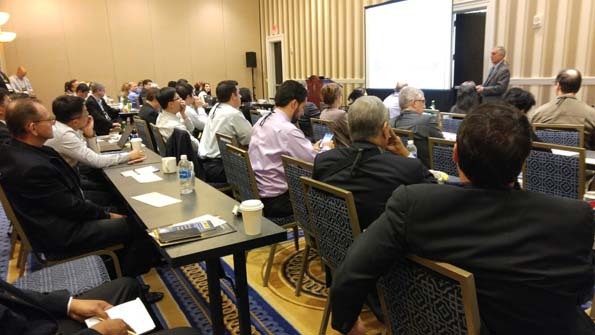 The first conference, in conjunction with the awards dinner, was last year. I was invited to speak at the inaugural conference last year at Caesars Palace in Las Vegas. This year, I was invited back to give two presentations. In my mind however, I didn't think the location would be as much fun. But, I was wrong. The Gaylord National Convention Center is a specially created oasis just south of DC, right on the Potomac River. Many government and military conferences are held at this giant convention center. A small community thrives around this all-in-one facility/town, with plenty of entertainment for traveling spouses. 2015 marked the 20th anniversary of Christensen's work on disruptive innovation. 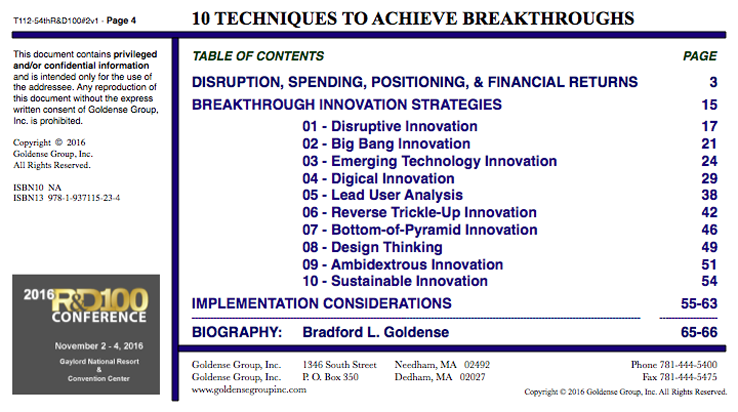 In 2016, GGI researched disruptive, radical, and breakthrough innovation. 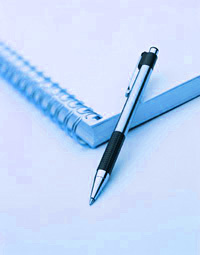 It was time to take a snapshot of how the body of knowledge had evolved over two decades.